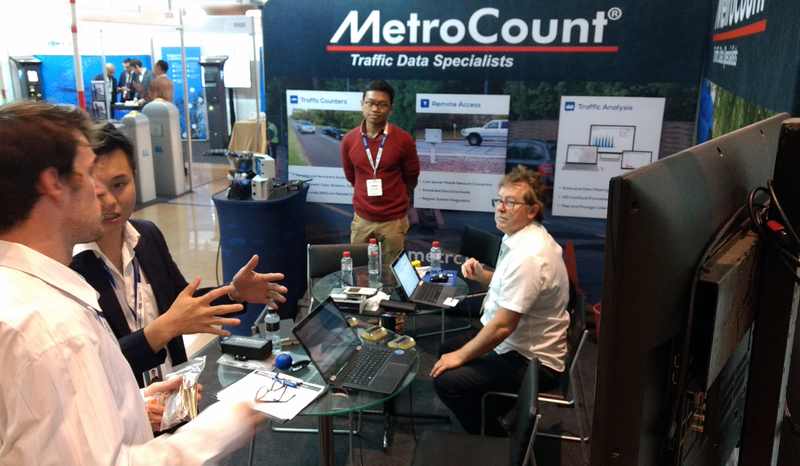 We started the month of November in Jakarta, attending the first edition of Intertraffic Indonesia. 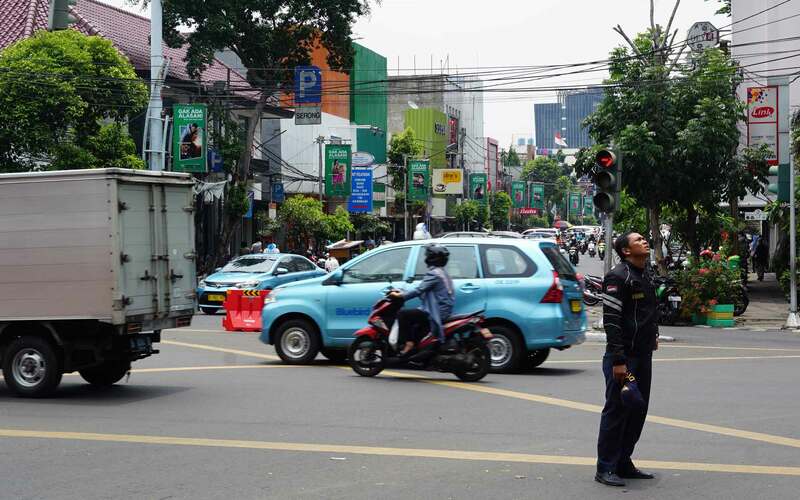 As the world’s fourth most populous country, the quality and safety of road traffic are a big concern in Indonesia. 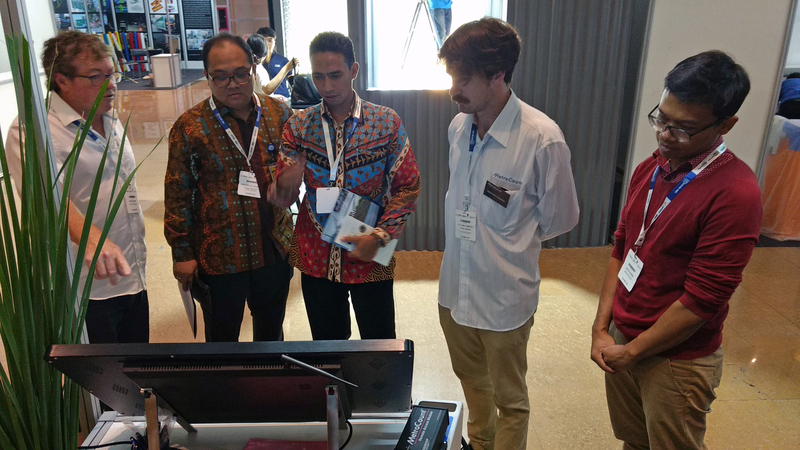 To bring together road authorities, engineers and technology suppliers, Jakarta has dedicated an entire week to Traffic Infrastructure and Management. 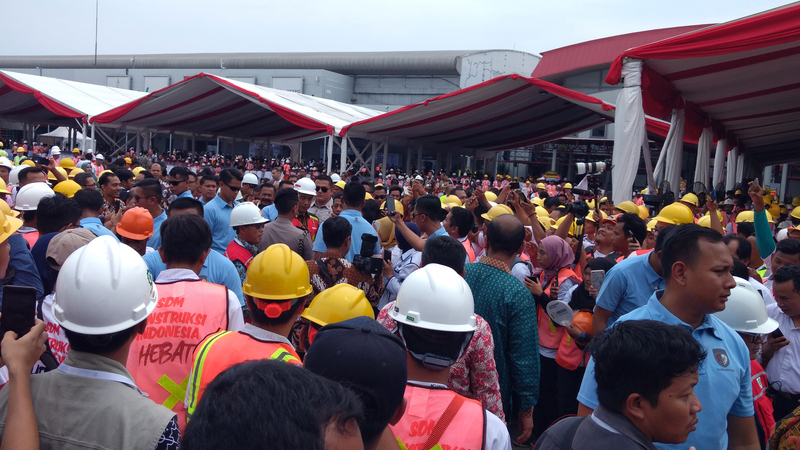 Emphasising the importance of improving traffic, the country’s President, Joko Widodo (Jokowi) held the opening speech. 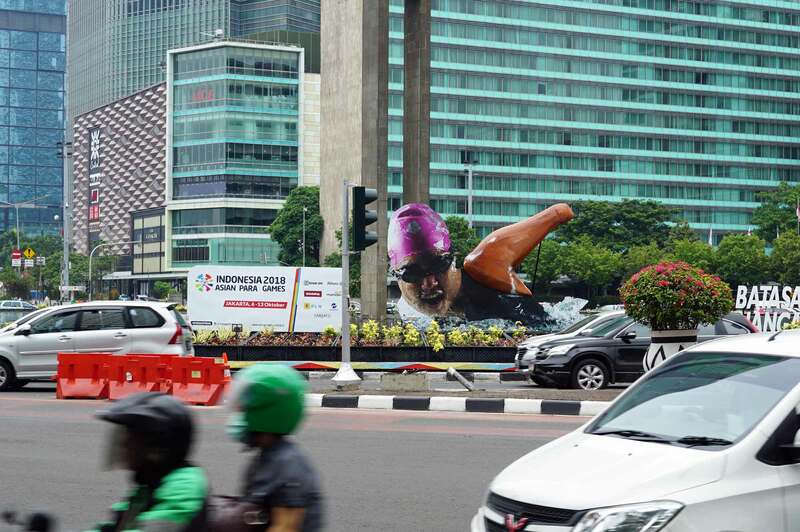 This year, Jakarta was ranked 12th on the INRIX list of most congested places in the world; a significant drop from the 22nd place in 2017. 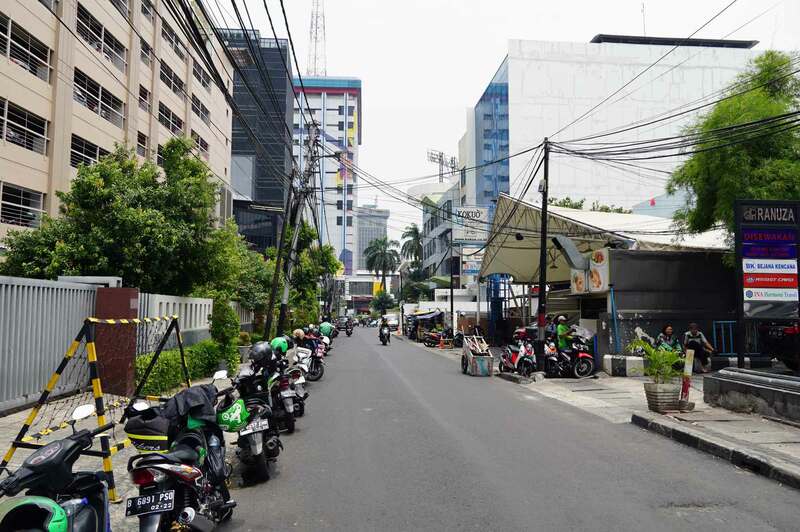 Cities like Bandung, Yogyakarta, Semarang, and Surabaya are not too far behind. 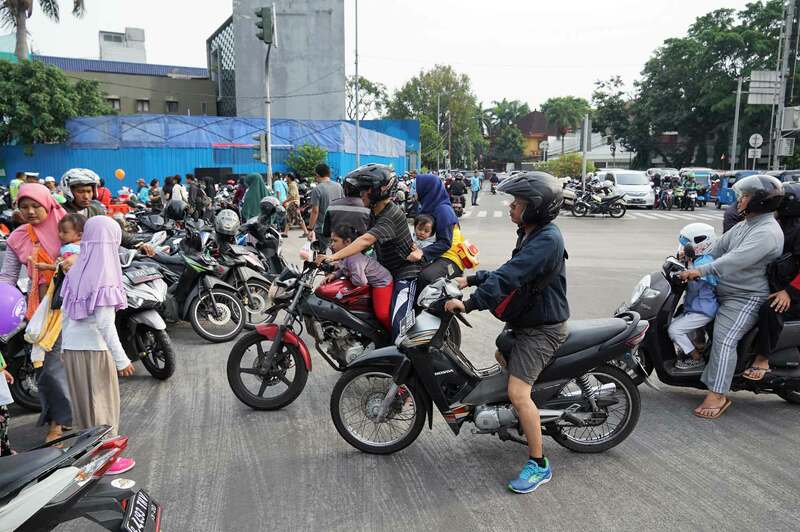 Unfortunately, traffic congestion is accompanied by an increasing number of collisions, mainly motorcycle crashes (36%). 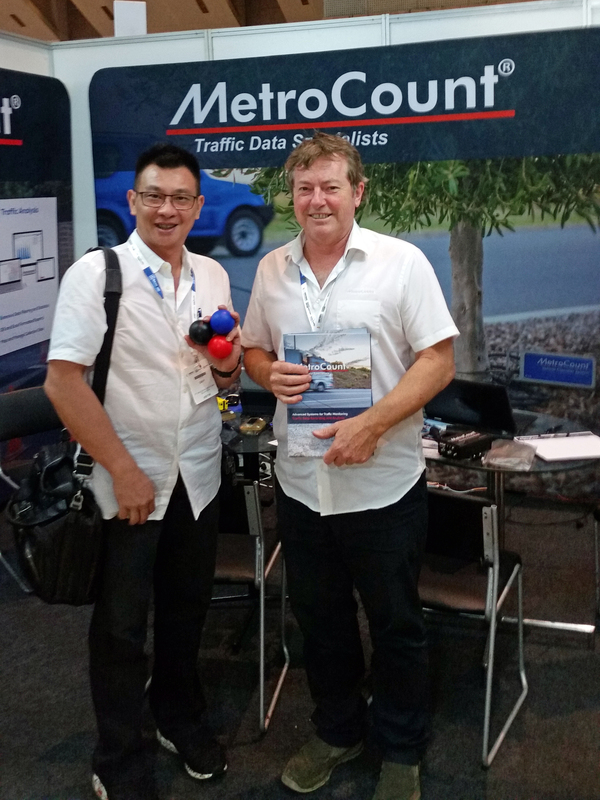 With a rate of 12 road-related deaths per 100 000 people, Indonesia is far behind neighbouring countries like Singapore (4.8) and Australia (5.2). 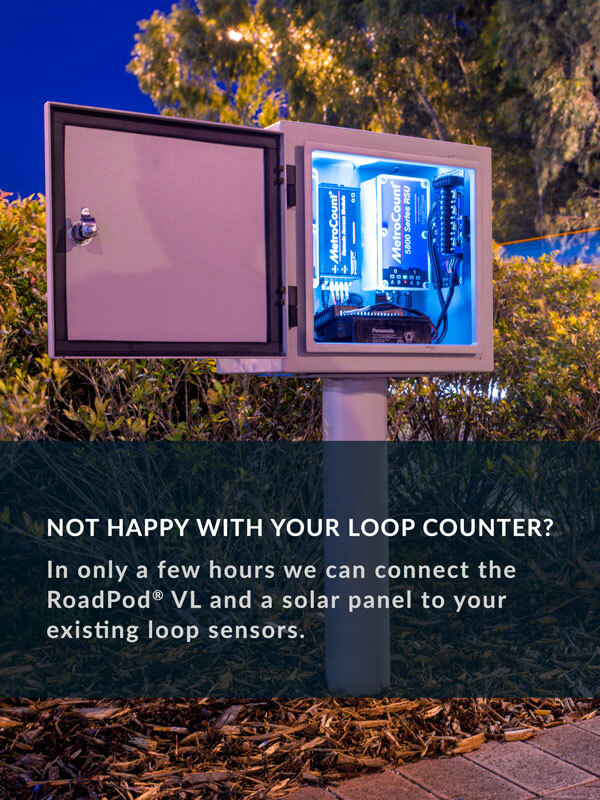 The increasing population and outdated infrastructure are just part of the problem. More concerning, there is an underlying educational issue. 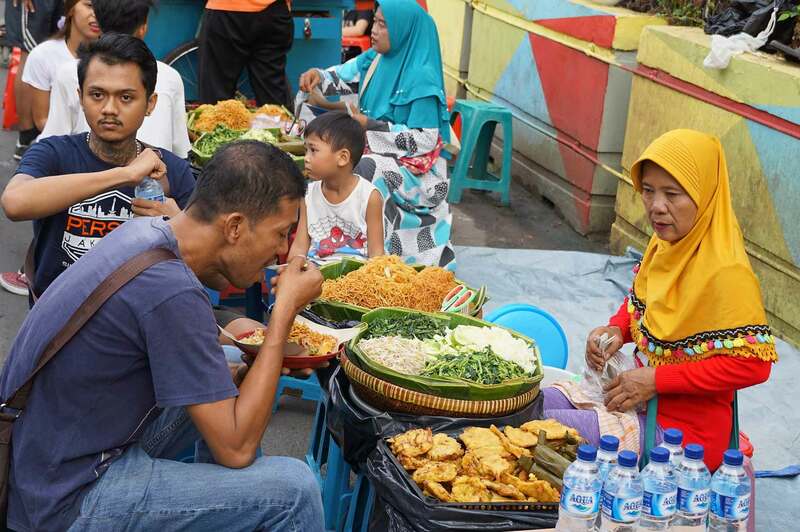 Drivers casually park vehicles on the edge of highways, while street vendors occupy pedestrian designated isles. This narrows roads even further, increasing congestion. 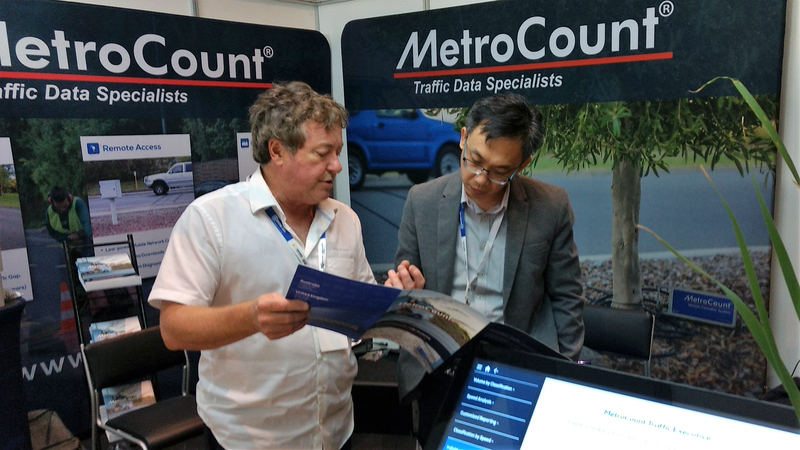 In what concerns road safety, without the tools to measure speed compliance and alcohol levels, it’s not difficult for violations to go under the radar. Running red lights is a common affair, but wearing a seat belt is not. 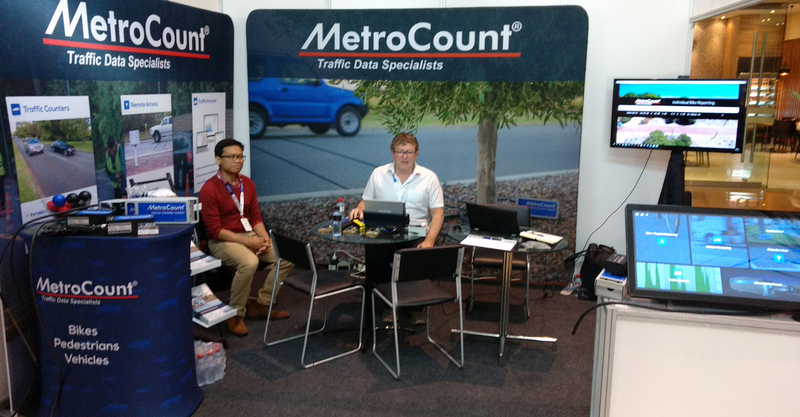 Thus, it becomes easy to understand why road crashes and deaths are so frequent. 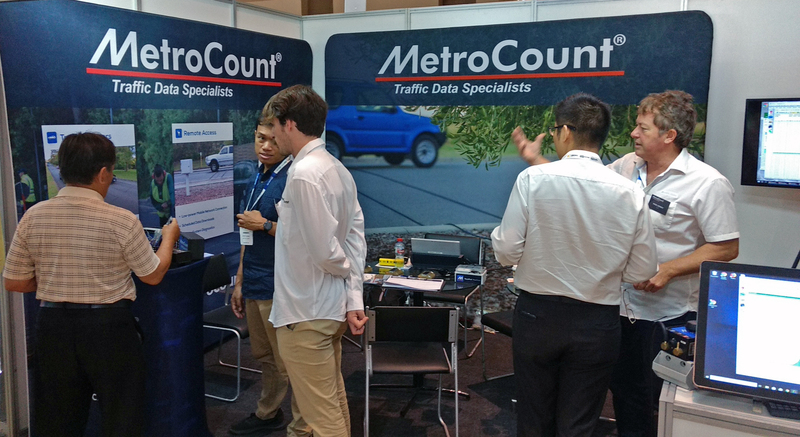 Our stand has welcomed many local traffic engineers, road managers, and traffic survey contractors. 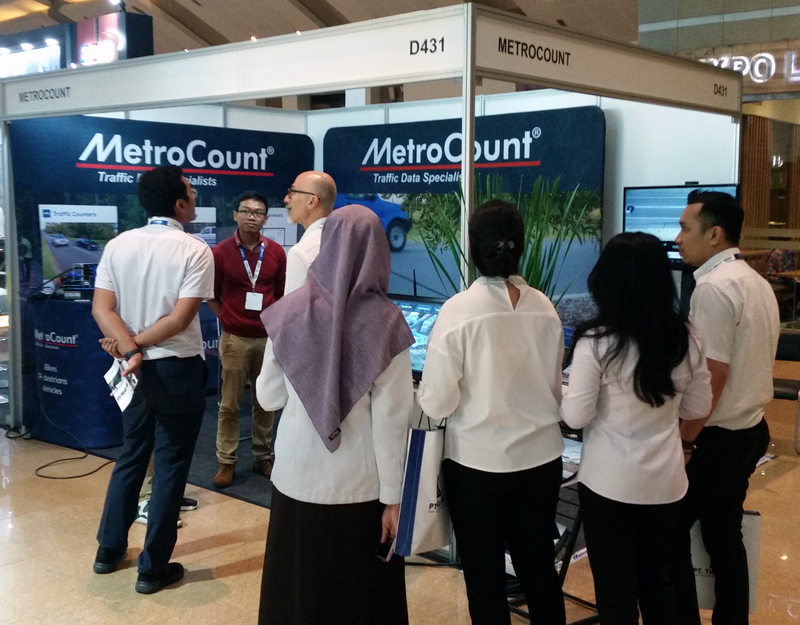 With an increasing presence across Southeast Asia, this show has been a great opportunity to present our traffic monitoring solutions to a new crowd. 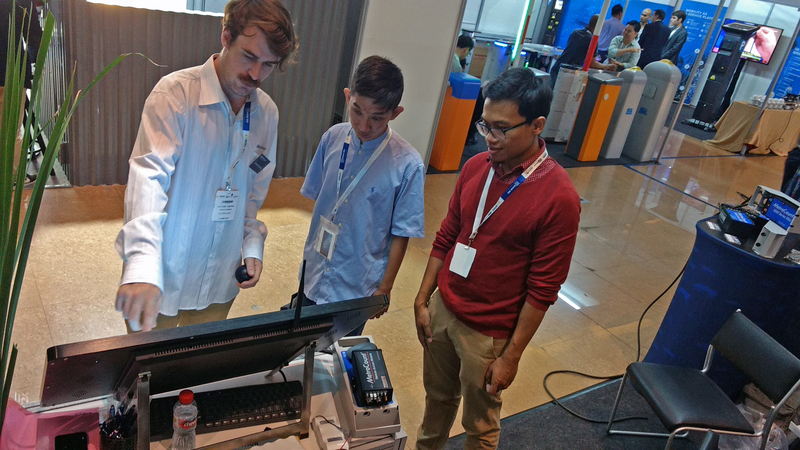 Not surprisingly, the RoadPod®VT tube systems has raised most interest, but a few visitors also wanted to know more about permanent counters. 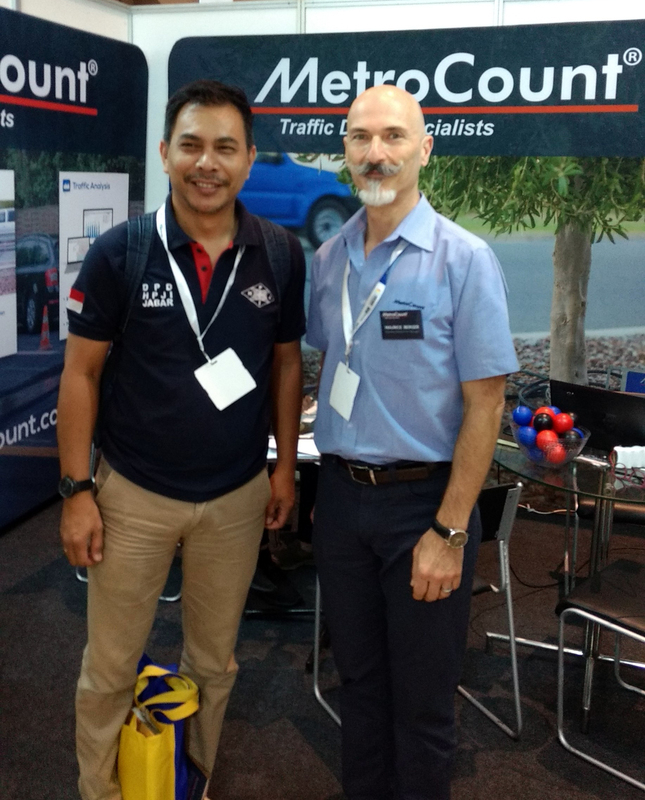 While we are looking forward to the day traffic monitoring will be routine in Indonesia, this Intertraffic event has been a great first step in establishing future collaborations. 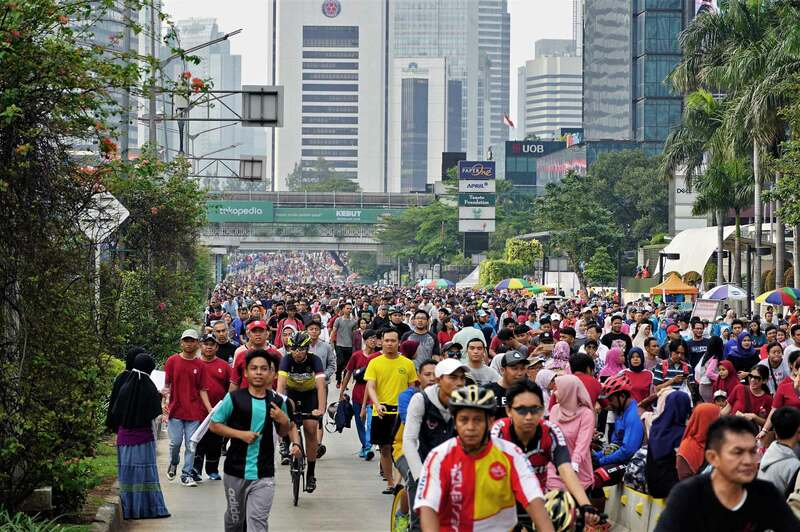 After an intense week, we got to enjoy Jakarta during its weekly Car-Free Day. For us, finally, a well-deserved break from the living and breathing road traffic. 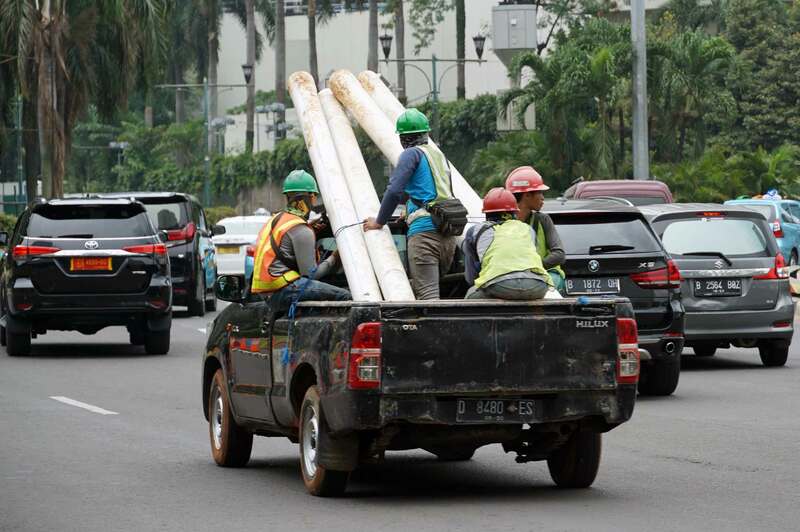 For Indonesian road authorities, a proof that Jakartans can embrace alternative transportation if infrastructure allows it.